Busy day today so this is another 10-minute sketch that I drew free-hand. I just had a funny idea in my head this evening about a dragon evolution that’s similar to an archaopteryx. 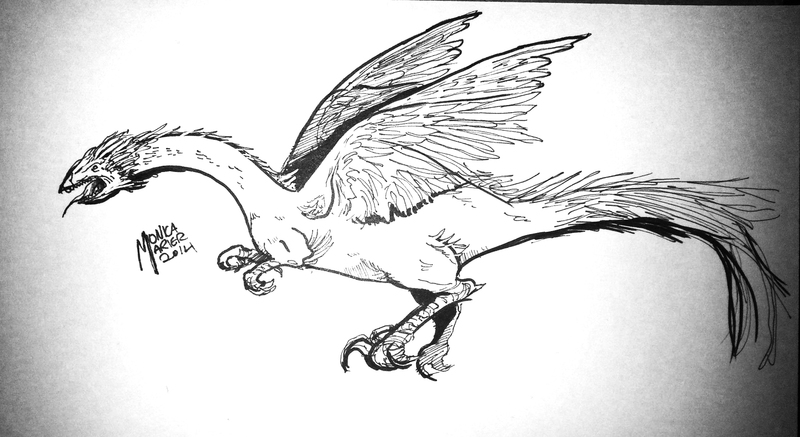 I ended up with a sort of a Quetzalcoatl-chicken-monster-like dealy-bob that’s pretty freaky looking. I had fun doing the feathers, and I must say that I’m getting more comfortable with the fine-lining pens. So yeah, I’m happy with it. See you all tomorrow for day 6.